Browse laptops-notebooks-thinkpad suppliers by country and region. Divanti Group generates large volume of iCORE and Core 2 Duo Laptops monthly. Each lot is separated by either iCORE Laptops or Dual Core/Core 2 Duo Laptops. Our approximate order ranges from 100-300 units on average. If you are interested in purchasing laptops in bulk, feel free to send me your email address and I can send over current stock lists that is available. Thank you. Brand AUO Model B173RW01 V.0 Size 17.3inch Resolution 1440*900 Aspect Ratio WSXGA+ Wide screen Description TFT Active Matrix with LED backlight Warranty 6 months. LCD monitors, LCD monitor panels, laptops, T-shirts, shirts, polo shirts. Short on time? Let laptops-notebooks-thinkpad sellers contact you. PC Hardware, Consumer Electronics, Systems, Laptops, Surveillance Equipment. A laptop is a small, portable computer -- small enough that it can sit on your lap. 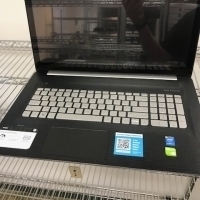 Nowadays, laptop computers are more frequently called notebook computers, though technically laptops are somewhat larger in size than notebooks, in both thickness and weight. A joystick is an input device consisting of a stick that pivots on a base and reports its angle or direction to the device it is controlling. A joystick, also known as the control column, is the principal control device in the cockpit of many civilian and military aircraft, either as a center stick or side-stick. It often has supplementary switches to control various aspects of the aircraft's flight.